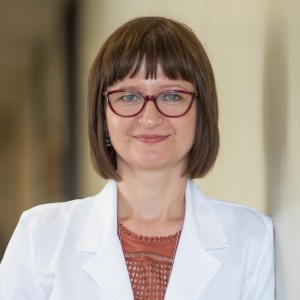 Dr. Joanna Dabrowska earned a PharmD in 2000 from Wroclaw Medical University and a PhD in Neuropharmacology in 2006 from the Medical University of Silesia. She continued her postdoctoral training at Emory University and in 2012 she was awarded a ‘Pathway to Independence’ K99/R00 grant from NIMH. In 2014, she joined the faculty of the Department of Cellular and Molecular Pharmacology and the Department of Neuroscience of the Chicago Medical School as an assistant professor. The Dabrowska Lab is currently supported by the Rosalind Franklin University of Medicine and Science and an R00 grant from the National Institute of Mental Health. The goal of research in the Dabrowska Lab is to understand how repeated stress exposure can lead to neuroplasticity of selective neuronal circuits and long-term changes in stress-coping behavior, which ultimately leads to the development of psychiatric disorders like depression, anxiety, and/or addiction. 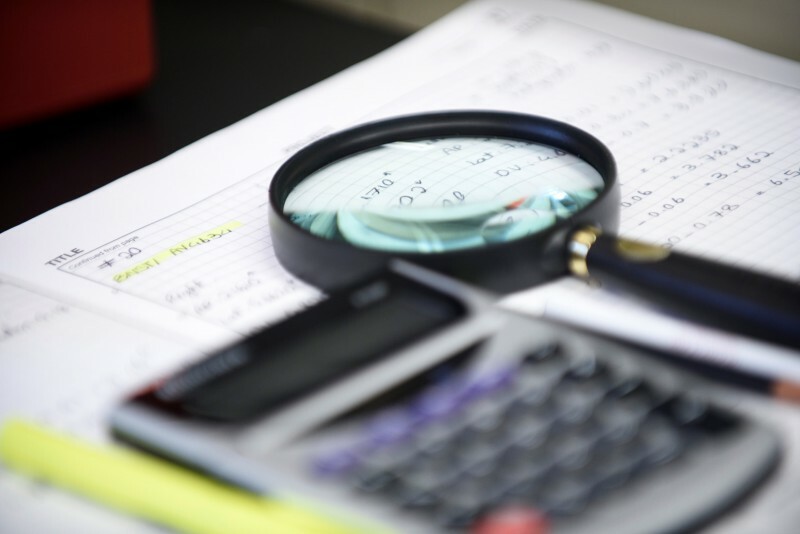 Since chronic stress is a potential risk factor for the development of these diseases we seek to understand how stress interacts with affect at the molecular, cellular, physiological, and behavioral level, and what are their respective roles in the etiology of the mental disorders. 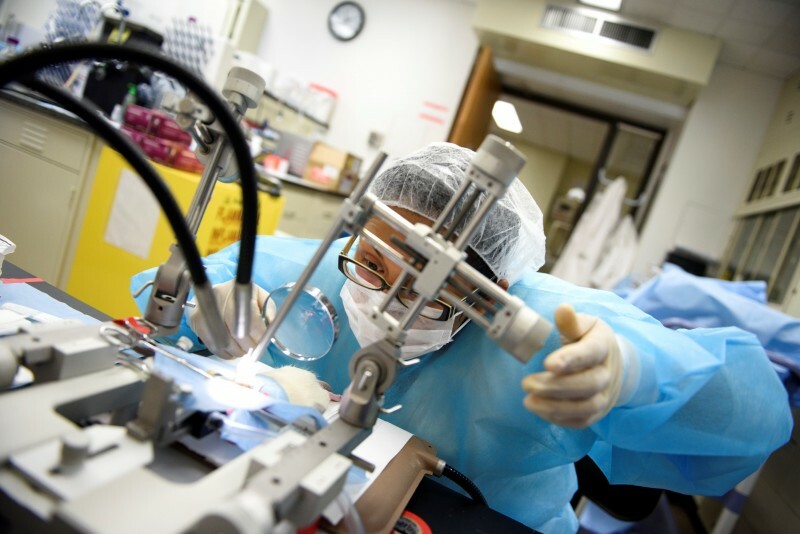 To understand the complex endpoint of psychiatric disorders, we study innate stress-coping mechanisms using animal models of stress, depression, anxiety, and addiction to examine how disruption of these mechanisms could lead to the development of disease. Development of depression and anxiety has long been associated with stressful life events and, consequently, hyperactivation of the major stress hormone - corticotropin releasing factor (CRF) system. Specifically, activation of the CRF system in the extended amygdala has been linked to the negative affect of the stress response. 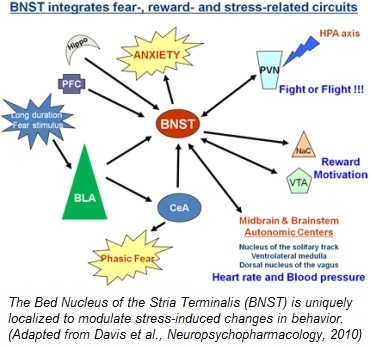 For example, the CRF neurons in the bed nucleus of the stria terminalis (BNST) have been shown to undergo highly plastic molecular and physiological changes in response to chronic stress, which ultimately leads to increased anxiety-like behavior (Dabrowska et al., 2013). 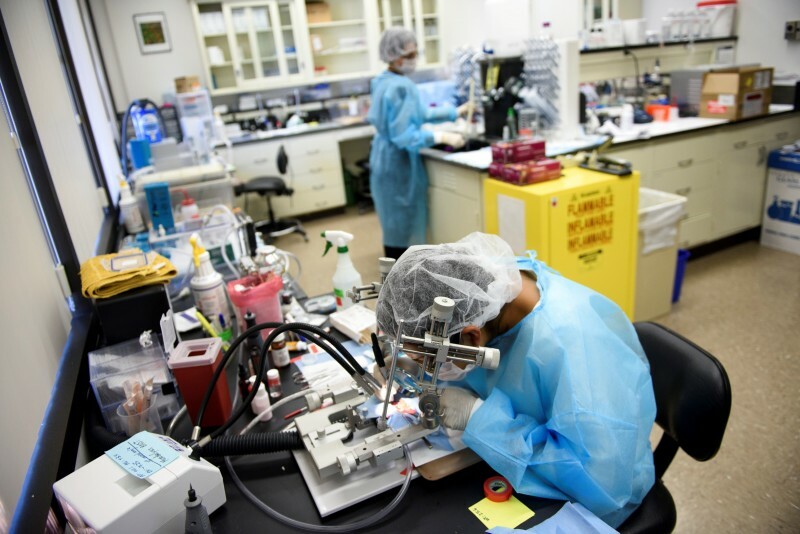 The major research project in the lab focuses on the intricate relationship between CRF and another neuropeptide, oxytocin, between two brain regions critically involved in the regulation of stress response and affective behavior, namely the hypothalamus and the BNST. 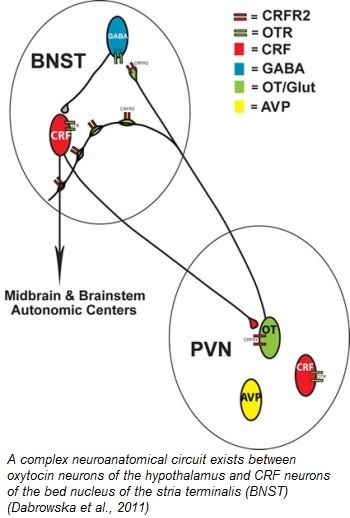 Based on the neuroanatomical circuit described in Dabrowska et al., 2011, we are using an integrative approach to investigate the anatomy and function of the circuit between CRF neurons of the BNST and oxytocin neurons in the hypothalamus. We believe these studies will lead to a better understanding of neuroendocrine regulation in neuropsychiatric disorders. 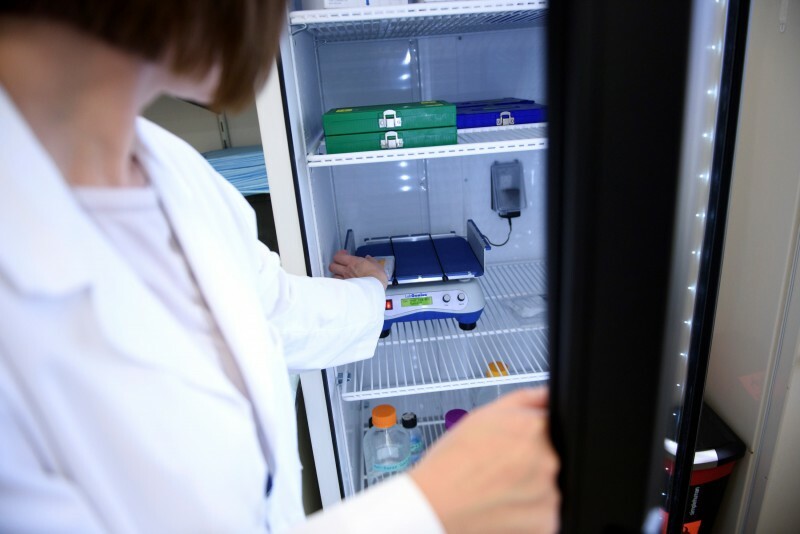 We use a variety of research techniques to investigate the circuit at the molecular (protein assays, PCR), cellular (neuronal tract tracing, immunofluorescence and confocal microscopy), neurochemical (microdialysis in freely-moving rats), physiological (in vitro patch-clamp electrophysiology), as well as behavioral level (animal models of depression and anxiety combined with adenoviral manipulations: DREADDs, optogenetics). Read more about our research in the Summer 2016 issue of the Helix Magazine. Mahsa Moaddab, PhD (in the back), postdoctoral research associate, and Daisy Martinon, MSc, research assistant, in the main lab area. 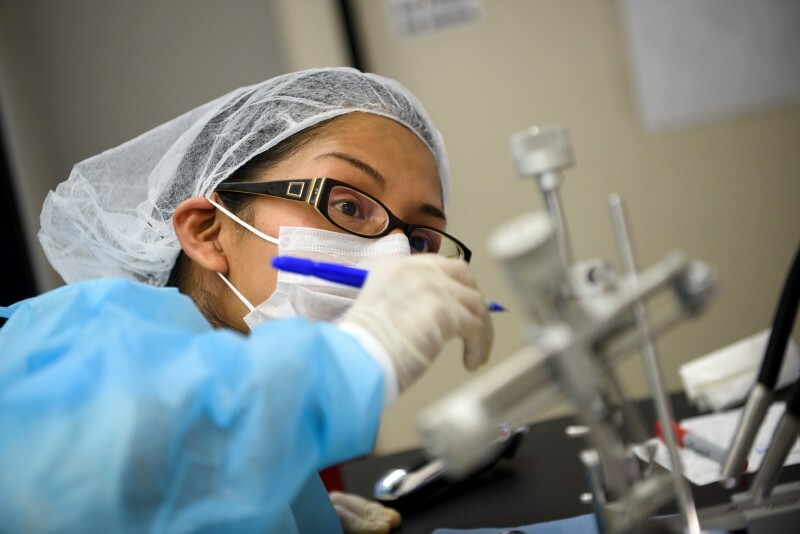 Daisy Martinon is implanting microdialysis probe during stereotaxic surgery. Joanna Dabrowska, Principal Investigator, in the main lab. 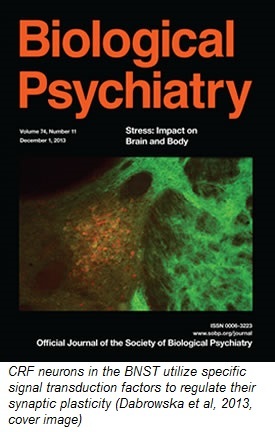 Janeček M, Dabrowska J. Oxytocin facilitates adaptive fear and attenuates anxiety responses in animal models and human studies-potential interaction with the corticotropin-releasing factor (CRF) system in the bed nucleus of the stria terminalis (BNST). Cell Tissue Res. (2019) 375:143-172. Martinon D, Dabrowska J. Corticotropin-Releasing Factor Receptors Modulate Oxytocin Release in the Dorsolateral Bed Nucleus of the Stria Terminalis (BNST) in Male Rats. Front Neurosci. (2018) Mar 21;12:183. doi: 10.3389/fnins.2018.00183. Ryan S, Li C, Menigoz A, Hazra R, Dabrowska J, Ehrlich D, Gordon K, Rainnie DG. Repeated shock stress facilitates basolateral amygdala synaptic plasticity through decreased cAMP-specific phosphodiesterase type IV (PDE4) expression. Brain Struct Funct. (2017) 223:1731-1745. Moaddab M, Dabrowska J. Oxytocin receptor neurotransmission in the dorsolateral bed nucleus of the stria terminalis facilitates the acquisition of cued fear in the fear-potentiated startle paradigm in rats. Neuropharmacology. (2017) 121:130-139. Dabrowska J, Martinon D, Moaddab M, Rainnie DG. Targeting Corticotropin-Releasing Factor Projections from the Oval Nucleus of the Bed Nucleus of the Stria Terminalis Using Cell-Type Specific Neuronal Tracing Studies in Mouse and Rat Brain. J Neuroendocrinol. (2016) Dec;28(12). doi: 10.1111/jne.12442. Bosch OJ, Dabrowska J, Modi ME, Keebaugh AC, Barrett CE, Johnson ZV, Ahern TH, Guo JD, Grinevich V, Rainnie DG, Neumann ID, Young LJ. Oxytocin in the nucleus accumbens shell reverses CRFR2-evoked passive stress-coping after partner loss in monogamous male prairie voles. Psychoneuroendocrinology (2016) 64:66-78. Dabrowska J, Hazra R, Guo JD, Li C, DeWitt S, Xu J, Lombroso PJ, Rainnie DG. Striatal-enriched protein tyrosine phosphatase - STEPs toward understanding chronic stress-induced activation of CRF neurons in the rat BNST. Biological Psychiatry (2013) 74:817-26. Dabrowska J, Hazra R, Guo JD, and Rainnie DG. Central CRF neurons are not created equal: Phenotypic differences in CRF-containing neurons of the rat paraventricular hypothalamus and the bed nucleus of the stria terminalis. Frontiers in Neuroscience (2013) 7:156. Rainnie DG, Hazra R, Dabrowska J, Guo JD, Li C, and Muly EC. Distribution and Functional Expression of Kv4 Family α Subunits and Associated KChIP β Subunits in the Bed Nucleus of the Stria Terminalis. Journal of Comparative Neurology (2014) 522:609-25. Jasnow A, Ehrlich D, Choi D, Dabrowska J, Bowers M, Rainnie DG, Ressler KJ. Thy1-expressing neurons in the basolateral amygdala may mediate fear inhibition. Journal of Neuroscience (2013) 33:10396-404. Hazra R, Guo JD, Dabrowska J, Rainnie DG. Differential distribution of serotonin receptor subtypes in BNST(ALG) neurons: Modulation by unpredictable shock stress. Neuroscience (2012) 225C:9-21. Guo JD, Hazra R, Dabrowska J, Muly EC, Wess J, Rainnie DG. Presynaptic Muscarinic M2 Receptors Modulate Glutamatergic Transmission in the Bed Nucleus of the Stria Terminalis. 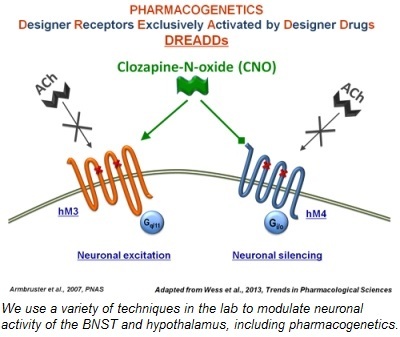 Neuropharmacology (2012) 62:1671-83. Li C, Dabrowska J, Hazra R, Rainnie DG. Synergistic Activation of Dopamine D1 and TrkB Receptors Mediate Gain Control of Synaptic Plasticity in the Basolateral Amygdala. PLoS One. (2011) 6(10):e26065. Dabrowska J, Hazra R, Ahern TH, Guo JD, McDonald AJ, Mascagni F, Muller JF, Young LJ, and Rainnie DG. Neuroanatomical evidence for reciprocal regulation of the corticotrophin-releasing factor and oxytocin systems in the hypothalamus and the bed nucleus of the stria terminalis: Implications for balancing stress and affect. Psychoneuroendocrinology (2011) 36:1312-26. Hazra R, Guo JD, Ryan SJ, Jasnow AM, Dabrowska J, Rainnie DG. A transcriptomic analysis of type I-III neurons in the bed nucleus of the stria terminalis Mol Cell Neurosci (2011) 46:699-709. Dabrowska J and Rainnie DG. Expression and distribution of Kv4 potassium channel subunits and potassium channel interacting proteins in subpopulations of interneurons in the basolateral amygdala. Neuroscience (2010) 171:721-33. Martin EI, Ressler KJ, Jasnow AM, Dabrowska J, Hazra R, Rainnie DG, Nemeroff CB, Owens MJ. A novel transgenic mouse for gene-targeting within cells that express corticotropin-releasing factor. Biological Psychiatry (2010) 67:1212-6. Hammack SE, Guo JD, Hazra R, Dabrowska J, Myers KM, Rainnie DG. The response of neurons in the bed nucleus of the stria terminalis to serotonin: implications for anxiety. Prog Neuropsychopharmacol Biol Psychiatry (2009) 33:1309-20. Dabrowska J, Nowak P, Brus R. Reactivity of 5-HT1A receptor in adult rats after neonatal noradrenergic neurons’ lesion – Implications for antidepressant-like action. Brain Res. (2008) 1239:66-76. Nowak P, Bortel A, Dabrowska J, Biedka I, Slomian G, Roczniak W, Kostrzewa RM, Brus R. Histamine H(3) receptor ligands modulate L-dopa-evoked behavioral responses and L-dopa derived extracellular dopamine in dopamine-denervated rat striatum. Neurotox Res. (2008) 13:231-40. Nowak P., Bortel A., Dabrowska J., Oswiecimska J., Drosik M., Kwiecinski A., Opara J., Kostrzewa RM, Brus R. Amphetamine and mCPP effects on dopamine and serotonin striatal in vivo microdialysates in an animal model of hyperactivity. Neurotox Res (2007) 11:131-44. Dabrowska J., Nowak P., Brus R. Desensitization of 5-HT1A autoreceptors induced by neonatal DSP-4 treatment. Eur Neuropsychopharmacol (2007) 17:129-37. Dabrowska J. and Brylinski M. Stereoselectivity of 8-OH-DPAT toward the serotonin 5- HT1A receptor: biochemical and molecular modeling study. Biochem Pharmacol (2006) 72:498-511. Nowak P., Dabrowska J., Bortel A., Szczerbak G., Biedka I., Kostrzewa R.M., Brus R. Histamine H3 agonist- and histamine H3 antagonist-evoked vacuous chewing occurs in the absence of change in microdialysate dopamine levels. Eur J Pharmacol (2006) 552:46-54. Ossowska K., Smialowska M., Kuter K., Wieronska J.M., Zieba B., Wardas J., Nowak P., Dabrowska J., Bortel A., Biedka I., Schulze G., Rommelspacher H. Degeneration of dopaminergic mesocortical neurons and activation of compensatory processes induced by a long-term paraquat administration in rats; implication for Parkinson’s disease. Neuroscience (2006) 141:2155-2165. Nowak P., Dabrowska J., Bortel A., Kostrzewa R.M., Brus R. Prenatal cadmium and ethanol increase amphetamine-evoked dopamine release in rat striatum. Neurotoxicology and Teratology (2006) 28:563-72. Nowak P, Szczerbak G, Dabrowska J, Bortel A, Biedka I, Kostrzewa RM. Molecular mechanisms of levodopa action in animal models of Parkinson's disease. Neurol Neurochir Pol. (2006) 40:517-25. Ossowska K., Wardas J., Smialowska M., Kuter K., Lenda T., Wieronska J.M., Zieba B., Nowak P., Dabrowska J., Bortel A., Wolfarth S. A slowly developing dysfunction of dopaminergic nigrostriatal neurons induced by long-term paraquat administration in rats: an animal model of preclinical stages of Parkinson's disease? Eur J Neurosci (2005) 22:1294-1304. Ossowska K., Wardas J., Kuter K., Nowak P., Dabrowska J., Bortel A., Labus L., Kwieciński A., Krygowska-Wajs A., Wolfarth S. Influence of paraquat on dopaminergic transporter in the rat brain. Pharmacol Rep (2005) 57:330-335. Kuballa G., Nowak P., Bortel A., Dabrowska J., Swoboda M., Kostrzewa R.M., Brus R. Central effects of nafadotride, a dopamine D3 receptor antagonist in rats. Comparison with haloperidol and clozapine. Pharmacol Rep (2005) 57:161-169.